– Spanish / Castellano: Aguacate, palta. The word “palta” comes from the Quechua and refers to the paltas, people living in a region north of Peru and southern Ecuador. 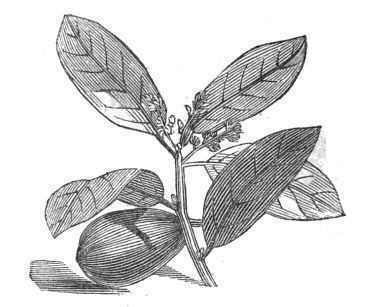 Scientific name: Persea americana L.
Origin: It is native of Central America (Mexico and Guatemala), where it was already cultivated before the arrival of the Spaniards and was highly prized among the Maya and Aztec people. 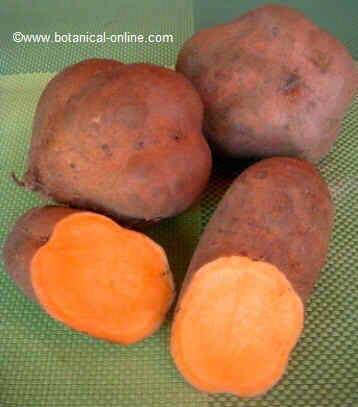 Distribution: Today appears cultivated in many American countries, the main: United States, Mexico, Brazil, Kenya, South Africa, Israel and Spain. 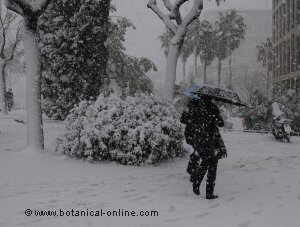 Habitat: It is a plant that requires a very warm climate, so, in certain places, it should be grown in greenhouses. 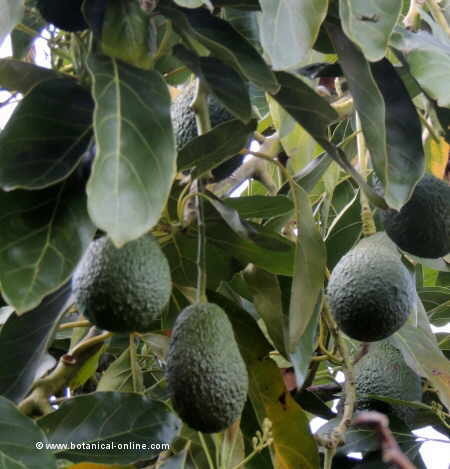 Avocado (Persea americana), is a tree of the Lauraceae family, to which belong some species as well known as laurel, cinnamon tree (Cinnamomum verum) or camphor tree (Laurus camphora). 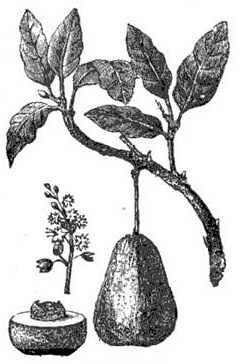 Avocado can about 20 m. tall, although, when cultivated, it is not allowed to grow more than 5 m.
Its leaves are evergreen, large (7 -. 40 cm long), dark green on the back and lighter on the bottom color. 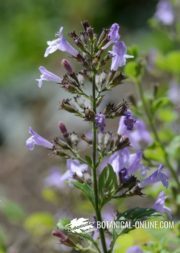 Its flowers are green, very small and its trunk is rough brown. Avocado fruit is a pear-shaped drupe, olive green, with a rough surface and yellowish green flesh, sorrounding a very large central seed (There are varieties that do not have seeds). 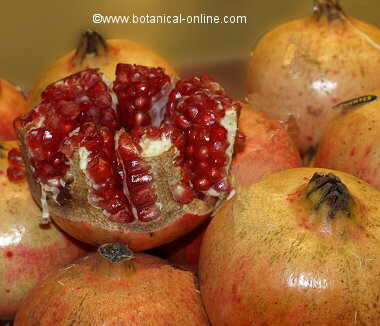 There are approximately 400 varieties, so we can find fruits of different shapes and weights, which can reach up to 2 kg. – Vitamins: riboflavin, thiamine, niacin, vitamin A. High in pyridoxine, vitamin E and folacin in fruits. 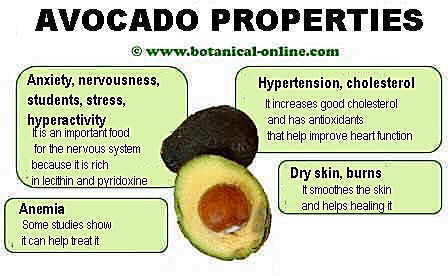 Avocado is a fruit rich in Omega 9, a type of very suitable to prevent the formation of bad cholesterol fats, reducing the risk of cardiovascular disease, such as stroke or brain hemorrhage. Equally interesting in this regard is its high content of lecithin, necessary in the metabolism of fats and very useful to increase good cholesterol and preventing poor circulation. At its properties must add its high content of vitamin E and glutathione, a powerful antioxidant very necessary for the proper functioning of the heart. 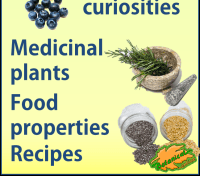 These qualities make it an essential food in the diet for hypertension and, in moderate doses, in diabetes. Used externally, for its richness in vitamin D and vitamin E as well as saponins, it is able to stimulate collagen formation. These same preparations can be used for external treatment of other skin conditions, such as pimples, spots or scabs caused by psoriasis. 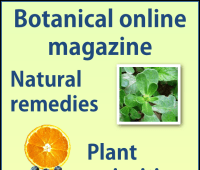 Apart from the emollient properties of its oil, we must mention its inflammatory properties that can be used to combat joint pain in painful conditions, such as rheumatoid arthritis or gout night attacks. The soothing properties of avocado oil, extracted from its seeds, are used in the cosmetic industry as a common ingredient in many creams for skin and hair care . A good and cheap remedy for maintaining a youthful face without wrinkles is to make a mask with avocado pulp and keep it before going to sleep for half an hour on your face. Keep in mind that avocados are used extensively in cosmetics for skin care, especially for wrinkles. 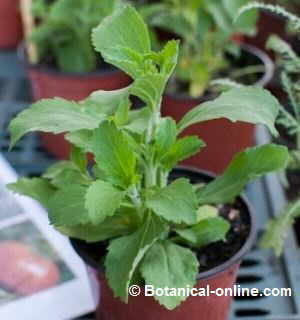 For its richness in fat, they are often used in the development of dry skin creams or masks for wrinkles. 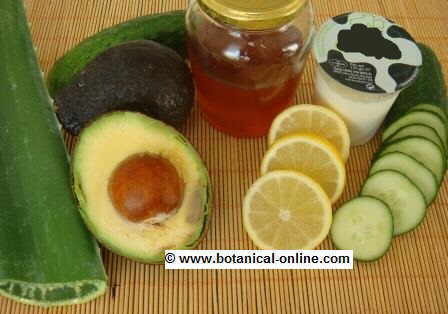 Photography of the main remedies for skin beauty: aloe vera, avocado, cucumber, honey, yogurt and lemon. – Acne: Because it is rich in essential fatty acids, it is desirable to help heal skin wounds, such as pimples, sunburn, chapped skin, etc. – Dry skin: It consists of making a mask with avocado and keep bedtime for half an hour on the face. This treatment is indicated in menopause, when dry skin problems may occur. 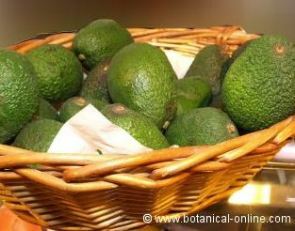 The avocado is ideal for the treatment of normal or dry skin, but should not be applied on oily skin.